Refreshing Organic Rice Milk is a naturally sweet soy and dairy alternative. 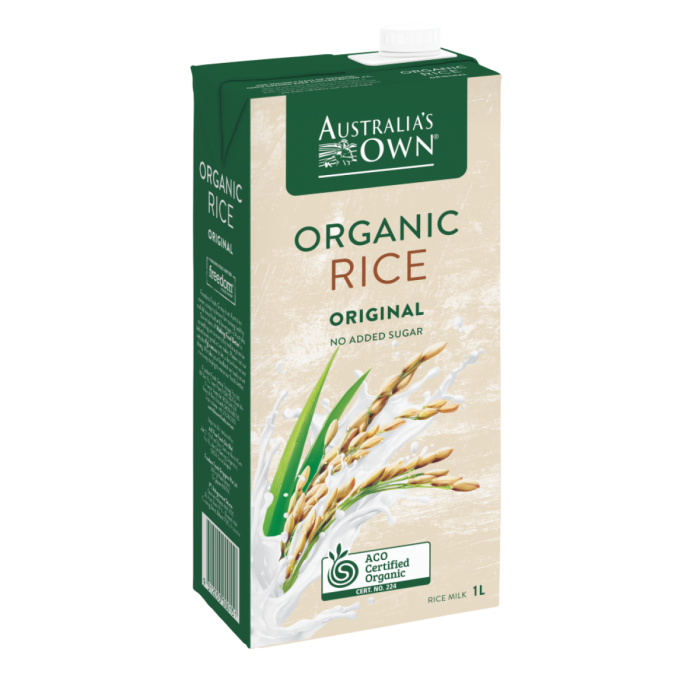 Perfect on top of your cereal or chilled on its own, it is the original gluten free beverage made with the goodness of certified organic rice. Monash University Low FODMAP Certified ™ product: FODMAPs are a group of dietary sugars that are indigestible or poorly absorbed by the gastrointestinal tract. Samples of this product have been analysed and were assessed to be low in FODMAPs. Monash University Low FODMAP Certified trademarks used under licence in Australia by Freedom Foods Group. A strict low FODMAP diet should not be commenced without supervision from a healthcare professional. INGREDIENTS: Filtered Australian Water, Rice Flour (14%), Organic Sunflower Oil, Organic Natural Calcium, Salt.